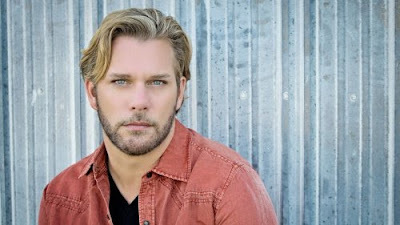 NBC's The Voice winner and country singer-songwriter Craig Wayne Boyd will make his second appearance of the year on the Hallmark Channel's national Home & Family morning television show on Tuesday, November 20 at 9:00 am/CT. The reality singing champion may be known for what Parade Magazine calls his "powerhouse bluesy vocals," but he's also quite the cook. This appearance will be something different and extra special for Boyd as his whole family — wife Taylor and children Jaxon (6), Dakota (2), and Graydon (11 months) — will all be in-studio "helping" dad show viewers how to prepare a unique holiday dish. Boyd's episode will re-air Wednesday, November 21 at 11:00 am/CT. On Tuesday, November 20 at 11:00 am/CT, the Texas native will be a guest on Good Morning LaLa Land — America's first live-streaming daily talk show, airing on social media platforms Instagram, Facebook, and YouTube. In true holiday spirit, Boyd will also perform in the 6ABC Dunkin' Donuts Thanksgiving Parade in Philadelphia on Thursday, November 22 at 7:30 am/CT as well as the Nashville Christmas Parade on Saturday, December 1 at 8:30 am/CT. Check your local listings for live coverage of the parades.